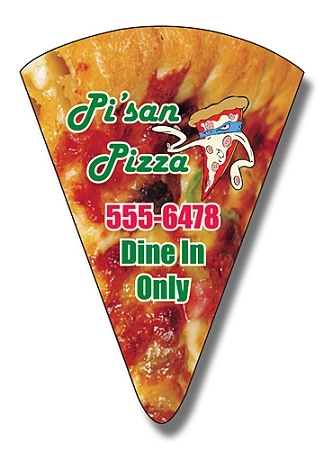 Price Range: $.09 - $.58 ea. 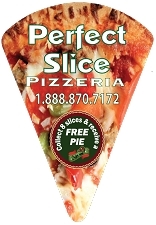 Our small pizza slice is a great way to advertise your restaurant. 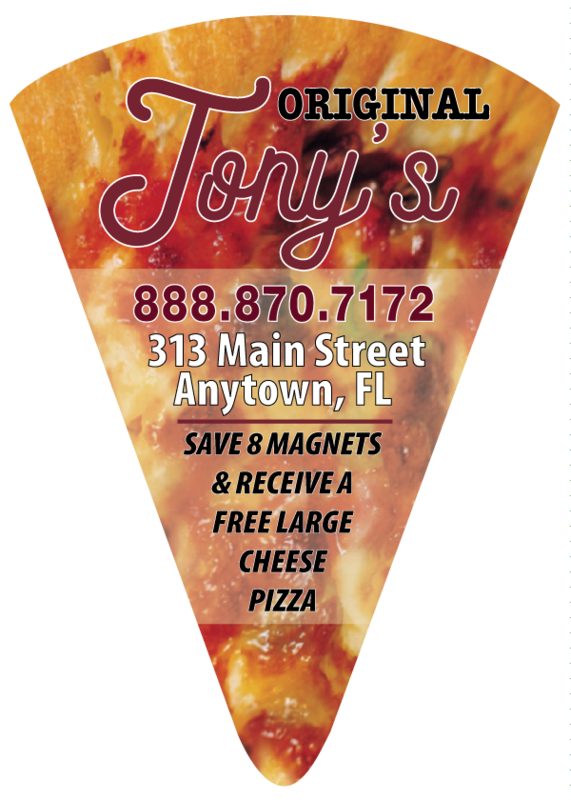 It can be used in place of a business card or even as a "Collect 10 magnets and receive a free plain pie" coupon.We will personalize your magnets with your artwork or feel free to take advantage of our complimentary design services.